Dear readers, how are you doing at the end of this year’s second (and last) Eclipse season? Hopefully you’re being kind to yourself and giving yourself the time and the space to rest, to process and to recover! With 4 planets still retrograde at the start of September, it’s still not time to go full speed ahead, as the past might have some leftover unfinished business with us. However, you can expect the changes brought on by the Eclipses to start taking shape! Both Saturn and Pluto go direct this month, relieving us of the weight that they brought to the work, reputation and authority sector since this April. Saturn stops its retrograde motion on the 6th. After some frustrating months of delays and obstacles that forced us to rethink and to redesign our approach towards work and efficiency, things will finally go smoother and concrete results will materialize! After Pluto goes direct as well on the 30th, we might find it easier to manifest our personal power with integrity and determination. Hopefully, we’ve reevaluated the structures in our life and our relationship with authority and only kept what truly serves us. On the 5th, winged messenger Mercury enters Virgo, one of the signs where it feels the most comfortable. It’s time to get talking, thinking in detail, organizing and getting rid of what’s no longer useful on a mental level and in your surroundings! The Great Earth Trine that Mercury forms on the 7th with retrogrades Saturn and Uranus is a powerful moment for a no-nonsense approach to life, supporting us to prepare the materialization of an innovative project. After all that Eclipse uncertainty, we’re feeling a little more rooted! However, on this same day the Sun opposes Neptune on the Virgo-Pisces axis, creating the context for exaggeration or sacrifice in name of an illusory ideal. What are your intentions for the service and help that you provide to others? How can you keep your feet on the ground? Keep your thinking clear as Mercury opposes the same Neptune on the 13 and harness traits such as perseverance, grit and staying power on the 15th with the Mercury-Pluto trine! Venus enters Scorpio, its exile sign, on the 9th. Attraction towards the mysterious flowers as we’re supported to delve deep into our relationships, seeing what shadows and treasures we might uncover. On the 12th, expect the unexpected in relationships as tensions rise with the Venus-Uranus opposition. Solutions come in the form of altruism, social conscience and a healthy sense of individualism, doubled by an awareness of our commitments to others. It isn’t easy and egos might clash, but something’s got to change- and this doesn’t always mean a definitive ending. The Virgo New Moon on the 9th marks a new beginning when it comes to the work that we’re voluntarily doing for others, our concrete mission. This New Moon is part of a very strong water and earth Cradle pattern, sustaining the feminine energy that we’ve got going on this month (Virgo, Scorpio) and marking a time of great opportunity! It’s all about the service that we bring to the world, the way that we walk our earthly path while simultaneously being aware of the spiritual one: it’s a fresh start that can set the base for fresh success through harvest of qualities such as stability, simplicity and pragmatism, receptivity, empathy and emotional sensitivity. Set your intentions during this awesome window of opportunity! On the 10th, Mars re-enters Aquarius, this time in direct motion. What has started around the middle of May and has been amplified (not without frustration) around August the 10th linked to social ideals and causes, friendships, independence or innovation is now finally free to move forward! Mars will re-play his square with Uranus on the 18th, bringing to a culmination and hopefully to a conclusion issues around self-expression, freedom, independence and authenticity of action that have been brought to our attention at the beginning of August. One more time we’re being warned not to be erratic rebels without a cause, but to assert our freedom of spirit and of ideal through healthy assertiveness. On the 11th, the Virgo Sun forms a trine with Pluto and a sextile with Jupiter. How’s that transformation going? Pluto supports us to reflect on the status quo, be it social or linked to our inner authority, and Jupiter in Scorpio gives an opportunity for hidden things (secrets, lies, complexes, vulnerabilities) to come to the surface. In short, we can’t run from change anymore, especially with Virgo involved! She always wants to purify, to bring things to a better form. In this period, we’re sustained to transfigurate inertia and, slowly and patiently, to grow (stronger). As the Sun conjuncts Mercury, the 20th is a great time for aligning our mind with our heart in setting our intentions in this area. On the 21st, Mercury enters Libra, followed by the Sun on the 22nd. Finally, things seem to be getting a little lighter! It’s the start of a time when we best partner up with others and balance our relationships through cooperation, sensitivity and a clear mind. In this period, no man is an island! Both Mercury and the Sun form trines with Aquarius Mars (Mercury on the 23rd, the Sun on the 27th), supporting us to speak our minds and our hearts with courage, level-headedness and respect. These are good days for bringing new ideas and new energy in your relationship! However, the Mercury-Saturn square (the 23rd) and the Sun-Saturn square (the 27th) can put a wet blanket on the fun. Be mindful of what seems to steal the ease from your interactions or what might be making your relationships feel more like unpleasant duties than joys. How is your relationship with yourself? Finally, the Aries Full Moon on the 25th complements this Libra energy through bringing up themes of personal initiative, independence and courage. How has your creative fire been expressing itself since April? How have you kept the balance between yourself and others, between doing what you damn well want and keeping things civilized? Mars jumps in once again to mediate this tension by offering his Aquarian solutions of independence and altruism, though it’s good to avoid both going with the crowd and extreme rebellion. Saturn as the tip of a T-Square with the Sun-Moon opposition as a base creates both tension and resolve: we might be feeling limited by others or by ourselves at this point. Assuming our inner responsibility and authority creates the premise for truly asserting ourselves and cooperating with others. 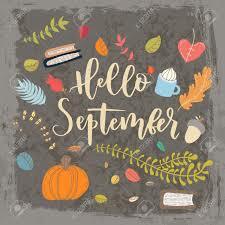 How does this September affect your sign? Read below, checking out your Ascendant first if you know it!